Kabobs Indian Grill was started by friends & their families in September 2011. We are passionate about food, we believe every one should be passionate about it. 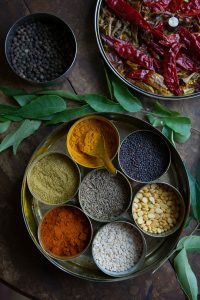 particularly with the food we grew up with While our goal is to provide a wide variety of quality Indian dishes and a fine Indian dining experience to our guests, we focus is on our roots – we specialize in both authentic north indian and south Indian specialties. This restaurant was originally started in 2006, we took over in 2011. We have made several upgrades to both odivur facility and the menu to improve the ambiance of the restaurant and the variety & quality of the food.We cannot believe that it has been 7 years already! We are thrilled to see so many repeat-customers and also several first-timers every day. We have recently introduced home delivery to meet our customer need. In addition to serving classic items like Biriyanis, we are excited to introduce daily specials. Please bookmark our facebook page and visit daily to see today’s specials. We are a small business run by friends from normal background & we cannot survive without you. Please come with your friends, family or just by yourself and dine with us and offer your comments how we can do better. We promise to provide a pleasant & enjoyable dining experience to you. We are looking forward to see you soon. Please keep sending your complaints and compliments to us at kabobsindiangrill@yahoo.com. We would love to hear from you. See you soon in the restaurant!